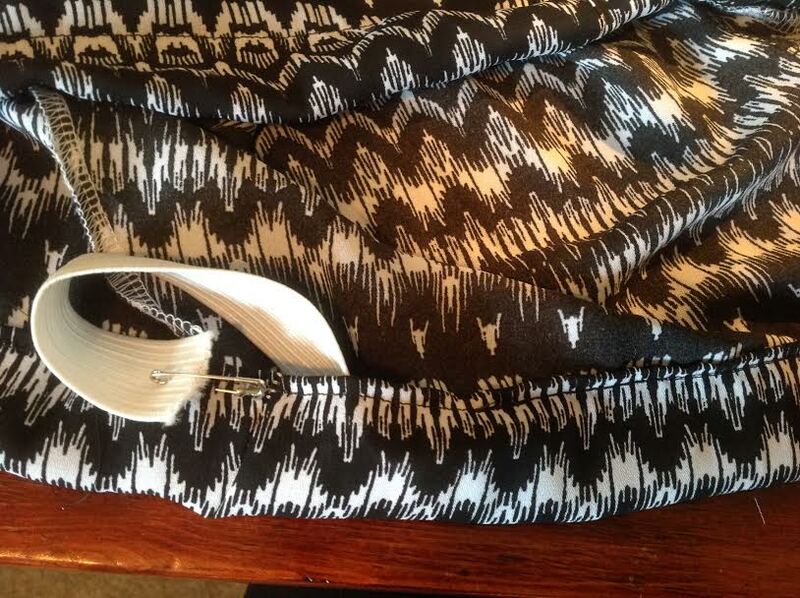 Printed shorts are now such a hot trend for summer! Not only are they very flattering (when found in the right pattern, cut & shape for your body type), they are also so versatile. I personally think everyone should own at least one pair to spice up their closet! Not only are they are a great staple for the trending (ethnic print inspired) “Boho Chic” style, they can even be paired with a simple plain shirt and blazer to amp up the sophistication. No matter what vibe you are going for, you can find a great printed short to accentuate your personal style. I was inspired by an outfit I found on Pinterest (seen below), but I could never find a pair of shorts similar enough to my inspiration that I wanted to get them. I did have a maxi dress in a semi-similar pattern that I was not wearing, SO… I decided that it was time to re-fashion it into something that I would actually wear and add (another pair of) printed shorts to my ever expanding collection! 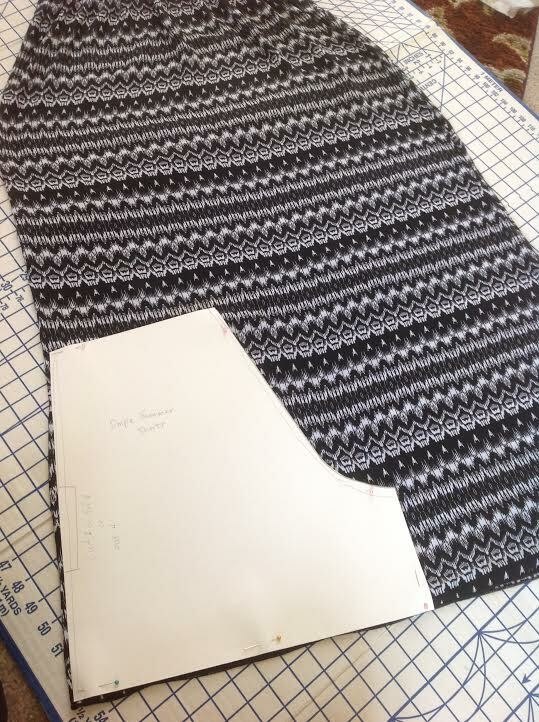 I can’t believe I have never done this before, and I want to share with you one of the easiest sewing projects I have done in a LONG time! 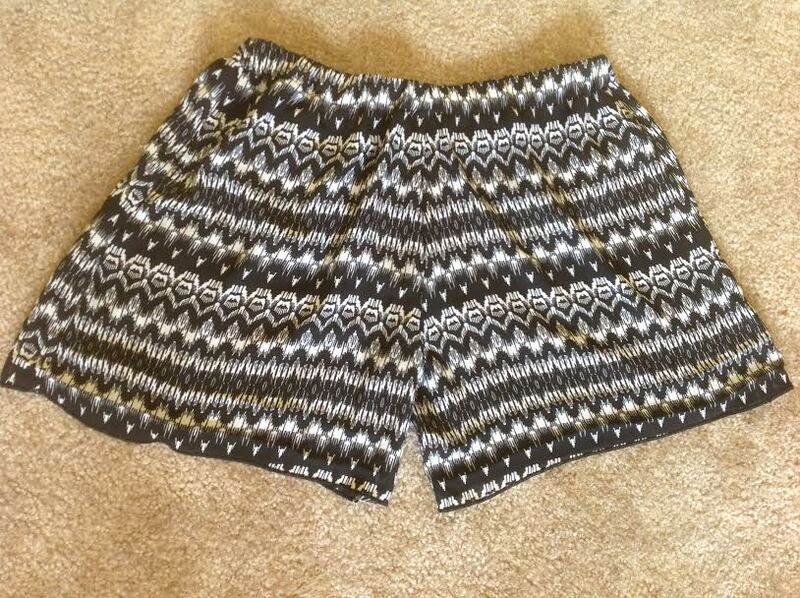 First, I picked out a pair of shorts that I had in my closet which had a similar style that I liked and wanted to mimic. 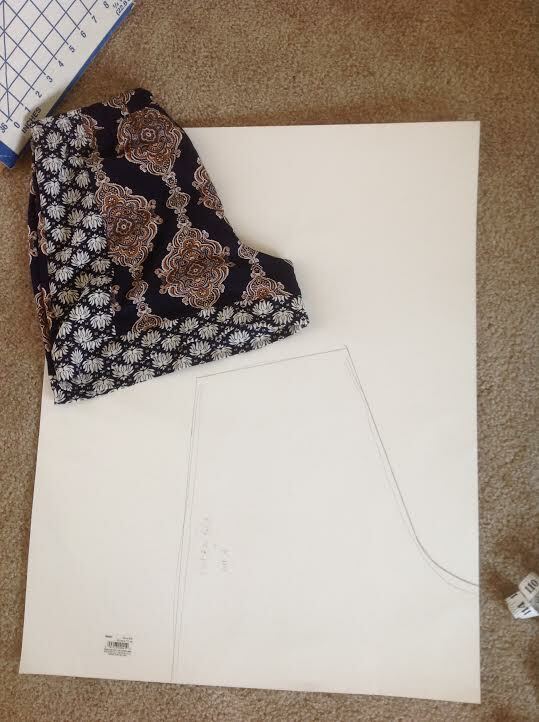 Then I traced the shorts onto a piece of poster board, making myself a “pattern”. I left room for seam allowance. After that, I serged the inner leg seams (the outer leg seams were already done) (#1), AND with right sides together I serged up the center seam (#2). 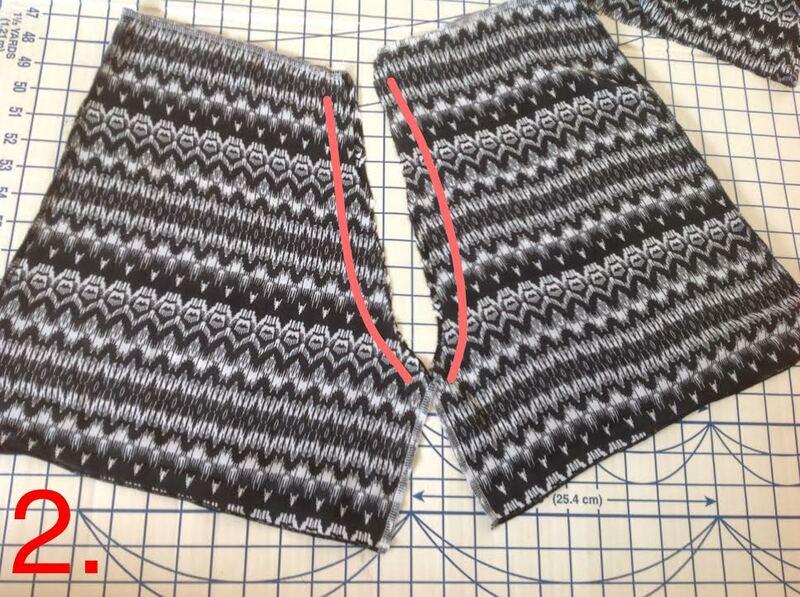 When the center seam was finished, I serged the top of the waistband, folded it over and made a channel for the elastic. Once sewn, I slid the elastic through the channel attached it together with a zig-zag stitch, and closed off the channel! Voila! I haven’t decided if I am going to hem the bottom of the shorts or not because the hem has already been finished from when it was a skirt. (It is a little uneven, but I kind of like it.) For aesthetics sake I probably will, but I was excited to share the “finished” project. SO that’s it!! What do you think!? These took me under one hour to make! If I can do it, YOU definitely can! I think they are great, and pretty close to my inspiration photo! PLUS they are SO very comfortable and light weight that I am not even worried about the back of my legs getting all sweaty when we are outside in 100+ degree weather! Best of all, they were FREE from my very own closet! I absolutely LOVE re-fashioning things, and I would love to hear about any projects that you have re-purposed!